Of all the pages on my site, this one is the page of which I am most proud. Over the years I have had the pleasure of working with couples from all over the globe and it always warms my heart when I received their beautiful cards and emails of thanks. We chose Claire at Lefkas Weddings to help us plan and organise the whole event. We knew that being in a different country and not speaking Greek was a disadvantage, plus we wanted to enjoy the process and not have to do all the work. Claire was amazing! She listened to everything we wanted, was open minded, answered our endless emails, and just generally delivered on everything we had planned. Nearly seven months after our wedding, friends still tell us what a special and amazing time they had. This would not have been possible without the help of our awesome wedding planner, Claire, from Lefkas Weddings. Our wedding ceremony and venue were styled and set up exactly as we pictured. Planning a wedding from the Netherlands was difficult as we could not travel to Lefkada beforehand to make arrangements. It was really important for us to have someone on the ground that we could trust. Claire made our vision a reality and we wouldn’t have changed anything. Not having to deal with logistics also gave us more time to relax and have fun with our guests! The whole journey was exciting, fun, organised and surprisingly calm. We knew that we wanted a venue with history rather than a beach wedding and Claire sent us numerous ideas. She mentioned her favourite building was the Library in Lefkas Town and it had a large garden that could be perfect for us. We saw the pictures and we truly felt this was ‘The One’ as it had everything we were looking for. Our ‘Big Day’ arrived and it was perfect from sunrise to sunset! We can’t put into words how magical it was, and we will never ever forget how we felt that day, nor how we felt in Lefkas. We cannot wait to visit for years to come, treasuring this perfect day in our lives. Thank you to everyone that made it a dream come true. We could not have asked for anything more on our wedding day. The sun was shining, the skies were clear and Meganisi looked beautiful. Everyone had such an amazing time. Every step of the way, we felt Claire had everything in hand and did an excellent job. Looking back, we could not have asked for a more easy and relaxed process. 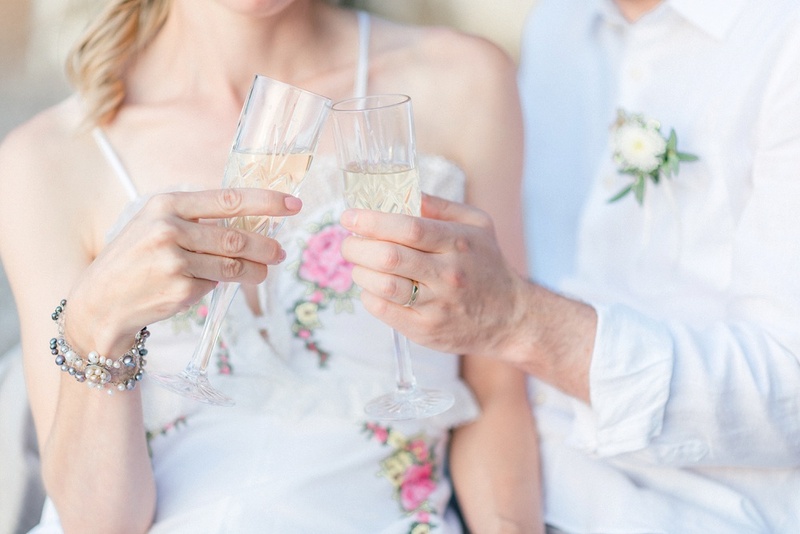 We feel very fortunate to have had such a relaxed approach to our wedding planning and we know that this is by no means by accident, but thanks to all the hard work and excellent communication by Claire at Lefkas Weddings.